TL;DR: I am typing notes into a full-screen notepad on monitor 1. I want to switch to typing into the visible, full-screen application shown on monitor 2 without using the mouse. (I know I could just click on the application shown in monitor 2). I know cmd+tab lets me cycle through all possible application, and will bring them up in the correct monitor. However, with 8 open applications, this method seems slow, especially if I haven't used the application currently shown on monitor 2 in a long time. Is there a keyboard shortcut for this? Based on your original question here is the answer to that. 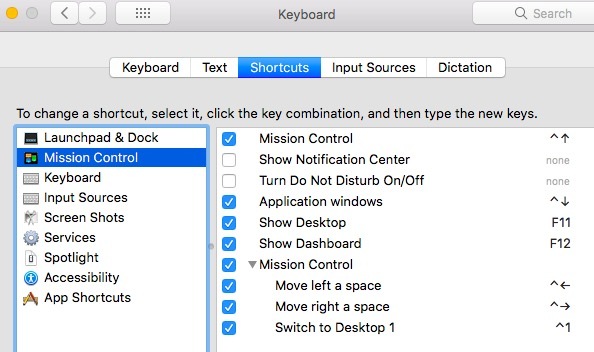 On High Sierra the keyboard shortcut to switch Desktops already exists. In my case it only shows 1 since I only have one Desktop. Not the answer you're looking for? Browse other questions tagged keyboard high-sierra desktop spaces application-switcher . Blink / fade out to where the text-cursor is - Effect?